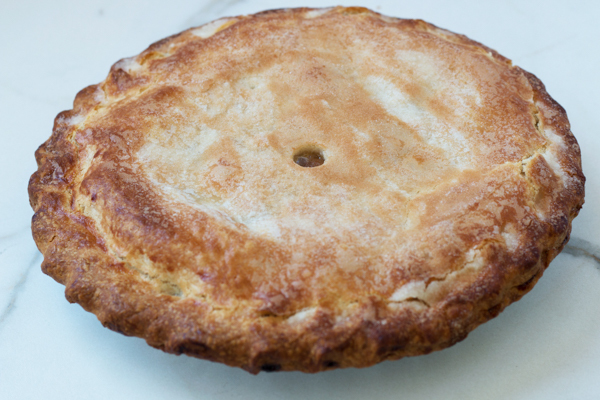 This pie is made with real butter and filled with fresh apples seasoned with cinnamon, pure cane sugar and natural juices. Especially nice heated a la mode. 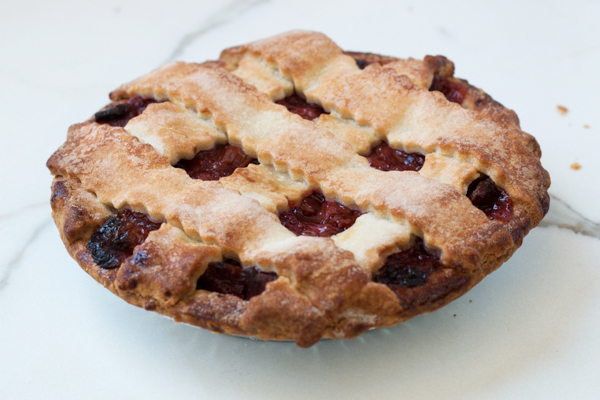 Pie dough made with real butter and filled with tart cherries and brown sugar. 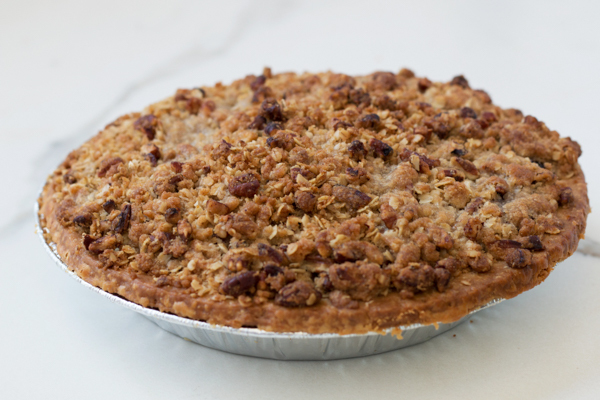 Blueberries, strawberries, and blackberries fill this tender, flakey pie crust and topped with a pecan oatmeal crumb topping. 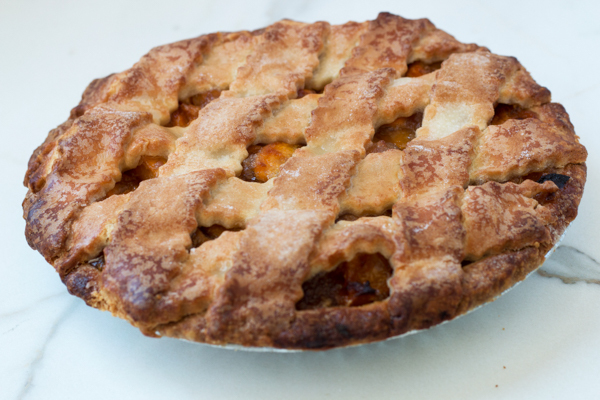 A tender pie crust made with real butter and filled with premium peaches, brown sugar and pure extracts. Baked in the oven to a golden brown finish. 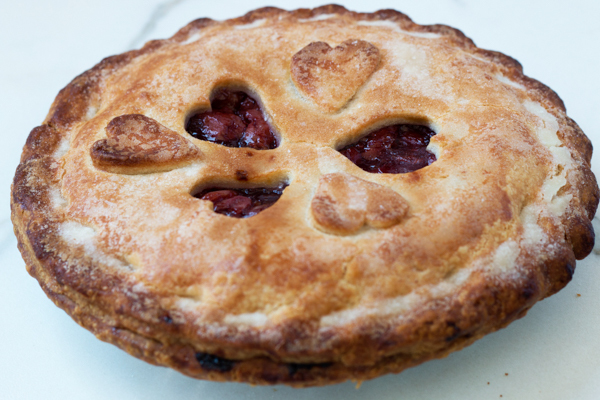 A tender pie crust made with real butter and filled with a wonderful combination of strawberries and rhubarb.